9M18 adjusted core earnings grew 66% y-o-y, above expectations. Despite 3Q being the seasonal low for IHH, organic growth across its core markets, led by Turkey coupled with maturing new hospitals such as GHK and Acibadem Altunizade boosted earnings. Completion of the Fortis exercise and the subsequent turnaround throughout 2019 could catalyse IHH further. Upgrade to BUY with a SOTP-based target price of S$1.95. 9M18 adjusted core earnings above expectation. 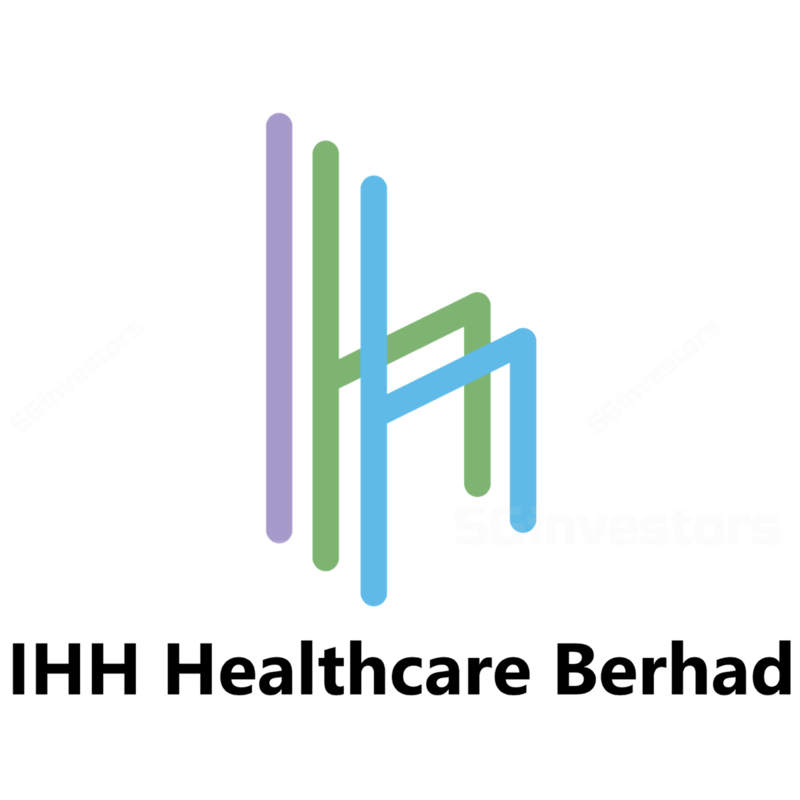 IHH Healthcare’s (IHH) 9M18 headline earnings contracted 86% y-o-y to RM119m, primarily due to a RM1.1b loss arising from translation losses of Acibadem’s non-Turkish lira-denominated borrowings and payables. Stripping out the exceptional, 9M18 core profit surged 66% to RM686m, which is above consensus expectations at 90% of earnings estimates. For the quarter, had it not been for the stronger ringgit, revenue and EBITDA would have grown impressively at 18% and 17% y-o-y in constant currency terms, respectively. This report marks a transfer of coverage to a new analyst. Core markets register healthy revenue intensity as India sees an unusual dip. In Singapore, inpatient volume was flattish amid high revenue intensity of 8.0% y-o-y in 3Q18. Meanwhile, Malaysia enjoyed 3.3% y-o-y inpatient volume growth against 2.6% y-o-y revenue intensity. Acibadem’s performance was impressive given Turkey’s currency turmoil, with admission growing 7.5% y-o-y on the back of a steep revenue per inpatient increment of 31.5% y-o-y. It was partially boosted by foreign patient inflow, attracted to more affordable medical treatment. Foreign proportion of Acibadem’s revenue has now increased to 22% from 14% previously. Lastly, India’s inpatient volume fell 20.7% y-o-y, which is an anomaly attributed to a team of doctors that collectively left the system. It has since been addressed with the hiring of new anchor doctors. Earnings benefitting from economies of scale. Operational earnings for the quarter saw marked improvement across the core markets y-o-y, albeit masked by the strengthening ringgit. In particular, Acibadem increased its 3Q18 revenue by 38% y-o-y and EBITDA by 66% y-o-y in constant currency terms. GHK fast approaching EBITDA breakeven. Since 500-bed Gleneagles HK (GHK) was launched in Mar 17, it has progressively narrowed 9M18 operating losses to -RM138.7m, lower 37% y-o-y (9M17: RM218.7m). To accelerate growth, management aims to capture medical tourists from mainland China to further alleviate current occupancy rate of ~50%. We expect GHK to achieve EBITDA breakeven in 2H19. Chengdu Hospital due in 2019. In contrast to GHK’s launch of all its operational beds in its entirety, ChengDu Hospital will be progressively launched as it operates under kinder restriction. Hence, it will avoid a drag on earnings, as previously seen with GHK. On 13 Nov 18, IHH completed the subscription of 31.1% of Fortis’ total voting equity. Subsequently, it will complete its open offer of up to 26% of Fortis’ by 4Q18. Pursuant to that, it will embark on the turnaround of the third largest hospital group by market capitalisation in India. We expect the acquisition to be value accretive to existing IHH shareholders, with price ranging from our existing IHH valuation of S$1.95 to S$2.11, depending on the acceptance level of Fortis’ open offer. Post exercise, IHH’s net debt-to-equity remains manageable at 0.4x. We furnish our forecast with housekeeping adjustments, while introducing 2020 forecast. Our SOTP-based target price implies 36x 2019F PE, well below its historical 3-year 12-month forward PE of 42x. IHH’s sound track record is beginning to pay off through increasingly mature but relatively new greenfield hospitals (GHK and Altunizade Hospital). Additionally, Fortis completes IHH’s portfolio of presence in highly populous emerging markets with highly visible pipeline of growth stretching for years.